An easily transferrable asset with a thriving secondary market, Cult & Boutique can help you benefit from the type of growth rates that have led the fine wine market to be heralded as one of the safest and most popular investments for many over the years. shift within the fine wine market from its focus on Bordeaux and Burgundy to now include, Champagne, Rhône, Super Tuscan and New World gems has only allowed more people to enter the market as the desire for alternative investing grows the World over. The principles on which the fine wine market is based are solid, tried and tested over decades and proven to provide a safe, reliable haven for long-term growth. The reasons wine of the highest quality has shown such solid performance are the same today as they have always been: a short and finite supply coupled with an ever-increasing demand. Taking into account the limited availability of all fine wines it’s a matter of importance that you decide on the approach you want to take within the market. Once this is done, it’s down to selecting the correct products to help you achieve your objectives. This is where the selection process and ongoing service that we provide our clients can help you to attain your financial goals. One of the major benefits of trading through Cult & Boutique is our wine selection. We aim to ensure all clients have a balanced portfolio created over time to fit your individual requirements. Introducing market strategies that are based around not only the blue chip wines that are the ‘back bone’ of the fine wine market, but also small production wines that have a growing global cult following. In order to limit risk and exposure we only select wines that are regarded as ‘extraordinary’ by Robert Parker Jr’s Wine Advocate (Scored 96-100/100) or that have received a similarly high level of recognition from other internationally acclaimed wine critics. wine but also to avoid any authentication issues when trading out of the market. For optimum results wines should be stored ‘in-bond’. This not only allows for provenance to be traced but also means no excise duty or VAT will be paid on the wine. All our clients’ wines are stored in London City Bond (LCB), headquartered in London Tilbury Docks, with all our clients’ wines being transported to LCB’s state of the art fine wine storage facility, ‘Vinotheque’ in Burton-upon-Trent. This Grade II listed building with metre thick walls boasts Europe’s most advanced air control system. Wines are maintained at a constant temperature of 13 degrees (+ / – 1 degree) with controlled humidity of between 68 – 70% and minimal light and disturbance. This means all wines are stored in a warehouse dedicated to creating a perfect temperature-controlled environment, ensuring they are kept at an optimum for resale. All wines are fully insured by LCB whilst in storage or during LCB transit. However, we also provide our clients with an additional independent policy, as some of our higher value wines exceed the financial cover offered by LCB. LCB is a member of the UK Warehousing Association and Road Haulage Association and is ISOQAR accredited. It was established in 1988 to buy the bonded warehousing business of British & Foreign Wharf, whose notable history can be traced back to the 1870s. A key part of the service that we offer at Cult & Boutique is our portfolio management. Our portfolio managers take a pro-active approach, aiming to build a diverse portfolio whilst at the same time providing clients with an insight into the market. All senior portfolio managers must undertake a minimum of WSET Level 1 as part of their training. Run by the Wine & Spirits Education Trust this foundation course ensures that clients are always speaking with someone knowledgeable. All Cult & Boutique clients are kept up to date with developments via our bi-monthly client newsletter featuring news, opinion and detailed financial information, this is a valuable tool for clients to expand their understanding of fine wine and keep their finger on the pulse of this progressive market. Every client also has access to a private online portal where they can view their portfolio in detail and obtain a valuation with purchase prices and current market low, average and high values. Valuations are calculated using an independent database of over eight million price points from over fifty five thousand merchants worldwide and updated daily. In addition to financial information clients also have access to online storage statements, wine history and regional information along with back issues of our client newsletter. As well as keeping up to date via our Facebook page and Twitter, many of our clients enjoy visiting us at our offices or one of our private tastings, which have proven to be an ideal way to gain wine knowledge and sample some of the best wines in the World. HMRC classifies fine wine as a ‘Wasting Chattel’ meaning it is deemed to have a shelf life of less than 50 years and as such all profits are generally free of Capital Gains Tax. 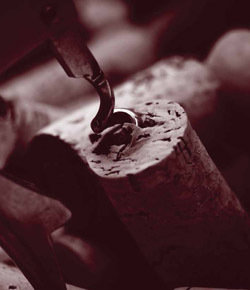 Cult & Boutique is recognised internationally as a source of some of the most sought after wines in the World. Using our reputation as a merchant along with our strategic international trade partners we can conduct sales from our clients’ portfolios without the need to charge any sales commission or fee. As members of the London Chambers of Commerce & Industry we are able to export wines internationally as well as via online platforms including Robert Parker’s website; the London International Vintners Exchange (Liv-ex); and winesearcher. When looking to exit the market we can also offer physical and online auctions and access to our network of trade sales and internal peer-to-peer sales. For anyone looking to discuss buying or selling opportunities within the market, one of our experienced team will be in touch to explain the very straightforward process of getting involved.